In the year to 31 December 2018, the StoneSpecialist.com website received 203,608 visits, up 64.49% on 2017. The number of unique visitors was up 71% compared with 2017 while the number of page views shot up to 337,963 (figures from Google Analytics). The Natural Stone Bulletin ended the year with 32,792 subscribers, more than 20% up on a year earlier. Each emailed Bulletin is typically opened between 7,000 and 10,000 times by architects, designers, developers, main contractors and stone specialists, making this a particularly productive place to advertise job vacancies in the stone industry, as well as products and services. If you would like to explore the opportunities for digital advertising, contact Anna on +44 (0)115 945 3897 / [email protected]. Guarantee reach and penetration of the marketplace through our ‘cost-per-thousand page impressions’ mechanism. This is restricted to just three positions on the site ensuring exclusivity of your brand during the campaign. Banners should be supplied as GIF or Adobe Flash files. Bring your proposition to life and make a lasting impression. Please send video in MP4 format. Provide a 24/7 virtual shop window for StoneSpecialist.com users. Profile Pages can host brochure downloads, video clips, image galleries and news feeds for your company and put you at the top of our Directory listings. Send a dedicated and bespoke marketing message directly to our database of 23,000 opted-in StoneSpecialist.com e-mail contacts. Please note this is limited to one E-Shot per month. A renewed assessment of lifetime value has favoured natural stone products in commercial hard landscaping while taking interiors into exteriors, especially kitchens, is driving demand in the domestic market. A first look at who will be exhibiting and what they will be showing in ExCeL London on 30 April-2 May. Developments in engineered stone continue to expand the market for stone processors. NSS looks at the latest designs and developments in relation to what will be on show at the exhibition co-locating with the Natural Stone Show at ExCeL London 30 April-2 May. 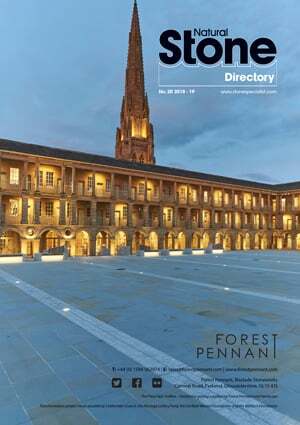 This issue of Natural Stone Specialist is the official catalogue of the Natural Stone Show and Hard Surfaces exhibitions at ExCeL London, 30 April-2 May. It will list the companies exhibiting with descriptions about what they will be showing. It will also include all the information you need for a visit to the show. Highlights and photographs from the stone industry's Natural Stone Show, now in its 25th year, and the new, co-located Hard Surfaces exhibition. A report on the subjects covered during the seminar held in association with the Natural Stone Show and Hard Surfaces. With the National Association of Memorial Masons (NAMM) planning to return to Warwickshire Exhibition Centre near Leamington Spa on 20 & 21 June for its Tradex exhibition, even though many memorial wholesalers have said they will not take part this time, NSS reviews this sector of the stone market. As youngsters prepare to leave school and start their work careers, NSS takes a look at what is on offer in the stone and conservation sectors, and how the new Trailblazer apprenticeships are panning out. A look at the vital role being played by stone wholesalers in expanding the market for natural and engineered stone. Brexit will be behind us by now but those hoping that taking back control means less health & safety restrictions could be in for a surprise. Report from NAMM’s Tradex exhibition, with pictures of the exhibits and news from the show. A major review of the latest developments in the machinery on offer to increase the efficiency of stone companies, including a preview of some of the launches promised at the Marmo+Mac stone exhibition in Verona, Italy, 26-29 September. A look at some of the projects taking place to conserve, extend and renovate the built heritage of the British Isles, along with developments in the products and techniques for cleaning and restoring stonework. Getting the right tools for the job, whether it is for a CNC workcentre or hand lettering, is essential. The manufacturers are making strides all the time to make tools that last longer, work quicker and produce a better finish. We will feature the latest developments. Adhesives and grouts, sealants for worktops and floors, anti-graffiti and paving treatments for exteriors, maintenance products for consumers and cleaners… NSS reviews the products for fixing, caring for and enhancing stone. Waste reduction, energy management, dust control, noise levels… getting the working environment right tends to reduce costs and improve productivity, increasing competitiveness and profits. It might also help the planet. Like most environmental improvements, managing the water used in processing stone cuts overheads as well as adding to the industry's message of sustainability and environmental responsibility. The physical part of machinery (the metal) might still improve with new alloys and processes but the big advances are coming in the software as the stone industry (along with all other industries) goes increasingly digital. This focus on the latest developments will give a glimpse into the future of stine processing. In the time-honoured tradition of looking back on the year as Christmas approaches, we ask some of our contributors to tell us about their highlights of 2019. Following the introduction of the Hard Surfaces exhibition alongside the Natural Stone Show in London this year, we talk to some of the companies expanding the repertoire of stone processing. Natural Stone Specialist also carries reports of stone projects and companies, as well as news and views from the industry. Natural Stone Specialist is the UK’s only monthly magazine dedicated solely to the stone industry in the UK and Ireland. Please note: While it is our intention to adhere to the above programme of features in Natural Stone Specialist, if circumstances dictate, the programme might change without notice. 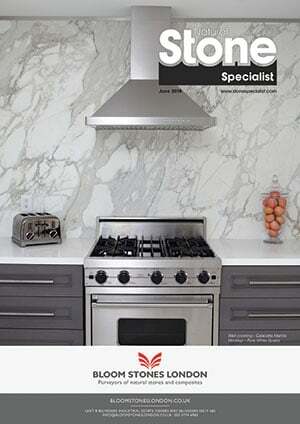 Natural Stone Specialist is published by QMJ Group Ltd, 7 Regent Street, Nottingham NG1 5BS.